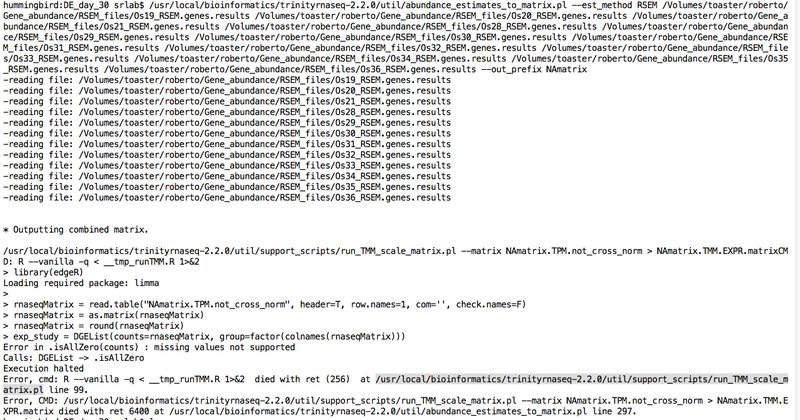 For this it was necessary to look for the gene id (MSTRG.3053) in matrix file and add it to the command line. 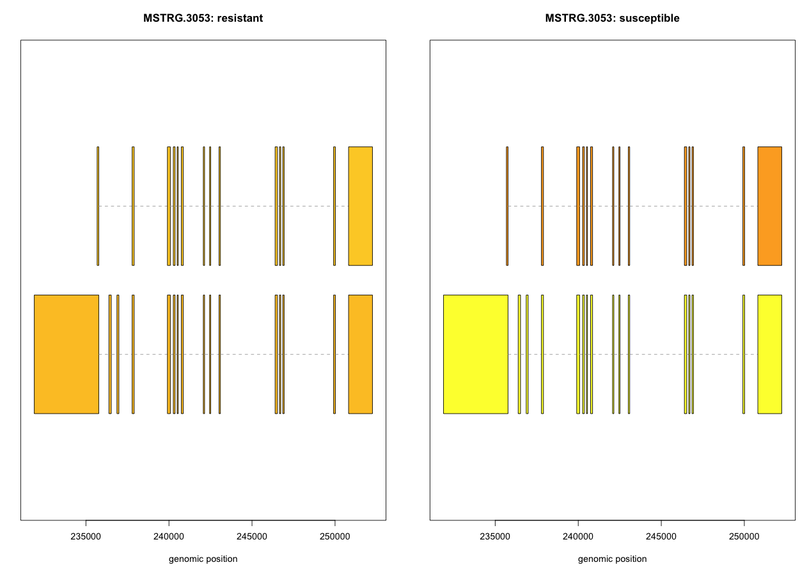 I am still working in the comparison of data obtained with Hisat/stringtie and the data from Trinity. 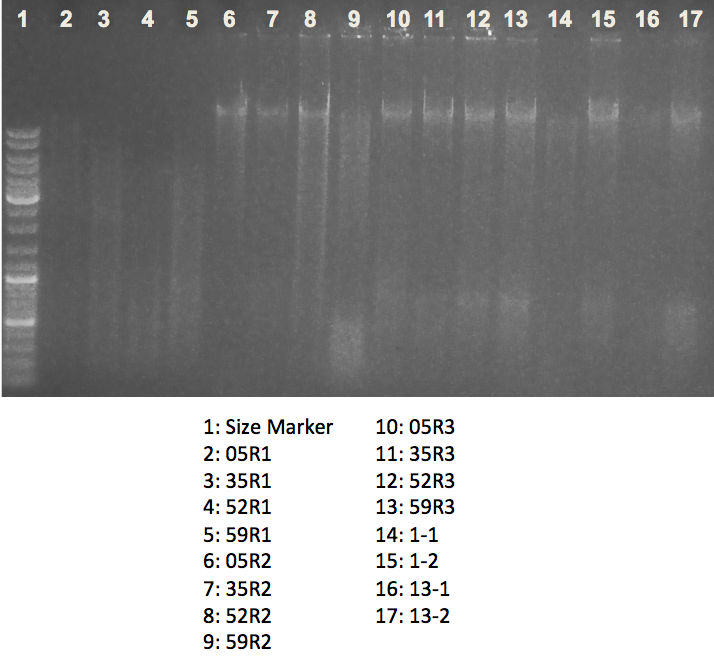 Using 100 ng, the integrity of DNA was observed in agarose gels. 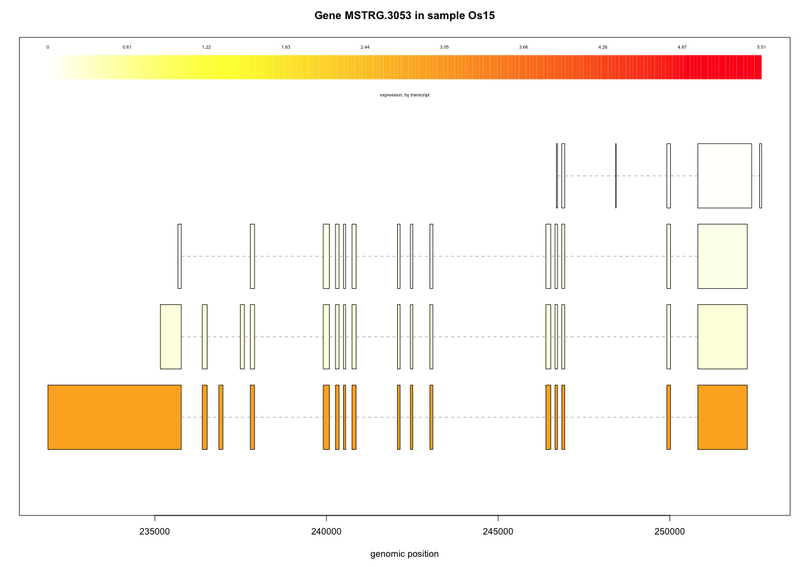 The samples 05R1, 35R1, 52R1 and 59R1 do not present a good DNA integrity and samples 9 to 17 have small RNA presence. 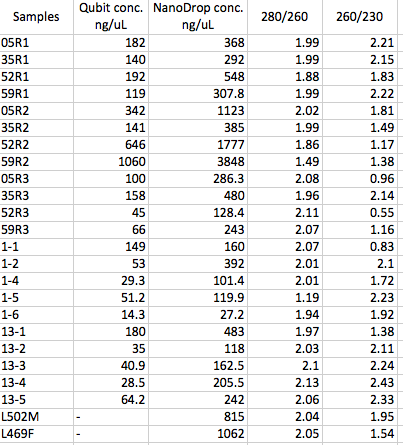 The samples 1-4, 1-5, 1-6, 13-3, 13-4 and 13-5 showed in table, were extracted using the E. Z. N. A. Mollusc DNA Kit and were corroborated in agarose gel. The samples had a good DNA integrity (picture not shown). The rest of DNA samples were extracted using the salts protocol. Testing the program tophat-2.0.13, the data were mapped with the genome (downloaded from: http://eagle.fish.washington.edu/trilobite/Crassostrea_gigas_ensembl_tracks/Crassostrea_gigas.GCA_000297895.1.22.dna_sm.genome.fa.gz). 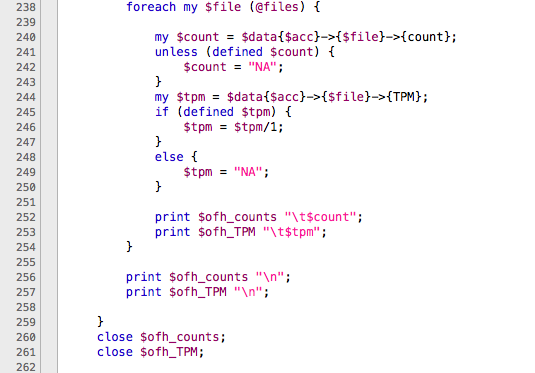 But there were a problem with the GTF file. Steven looked on tophat page and there where a suggested and faster program (hisat2-2.1.0) than tophat. 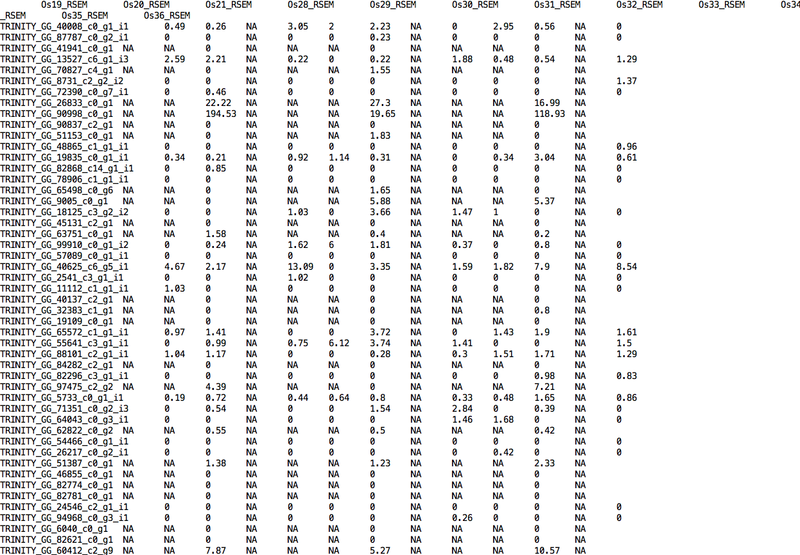 The hisat program has been downloaded (at /usr/local/bioinformatics/). The support information (Pertea, M., Kim, D., Pertea, G. M., Leek, J. T., & Salzberg, S. L. (2016). 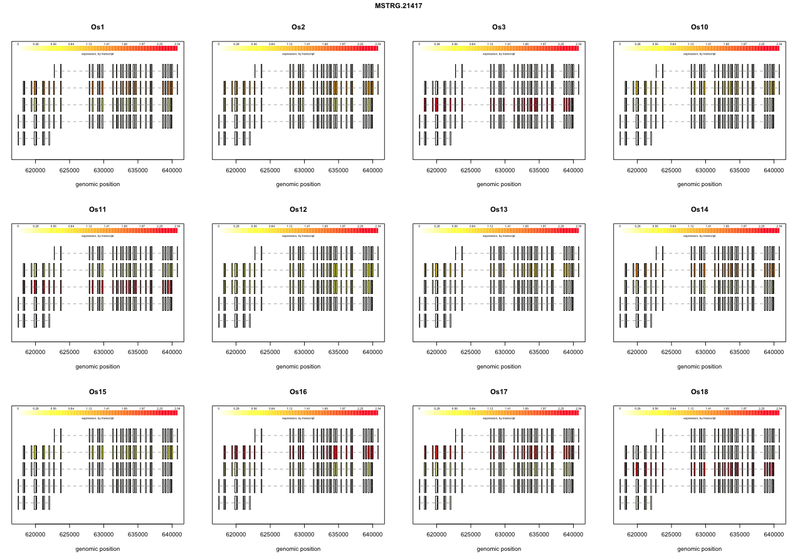 Transcript-level expression analysis of RNA-seq experiments with HISAT, StringTie and Ballgown. Nature protocols, 11(9), 1650.) revels that the GTF file is needed (and it has been downloaded as the Looking back at Tophat post said: Crassostrea_gigas.GCA_000297895.1.24.gtf). Using this file and the genome it was necessary to extract splice sites and exons. For the moment, the “creating a HISAT2 index” is running and after, the reads will be mapped again. I am glad to be part of this group. 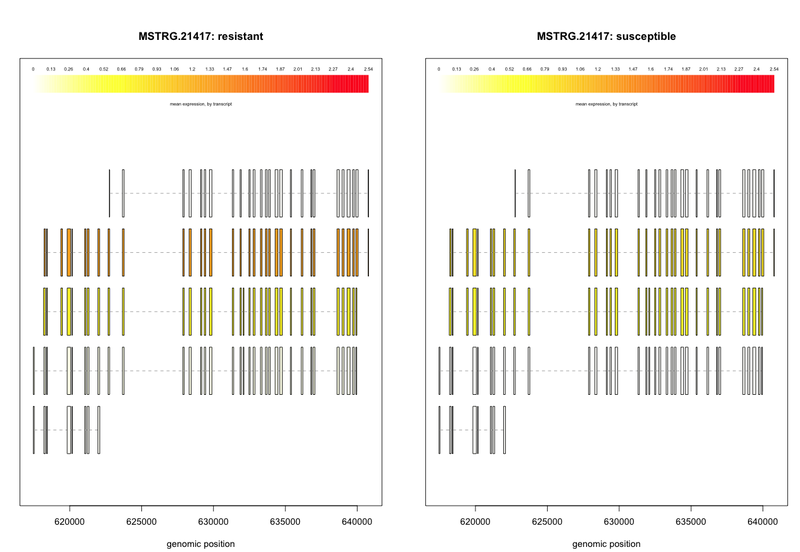 At line 242 and 249, writes “NA” for absent gene IDs and this makes an error to create a matrix used for differential expression analyses because the script just recognize numeric values. 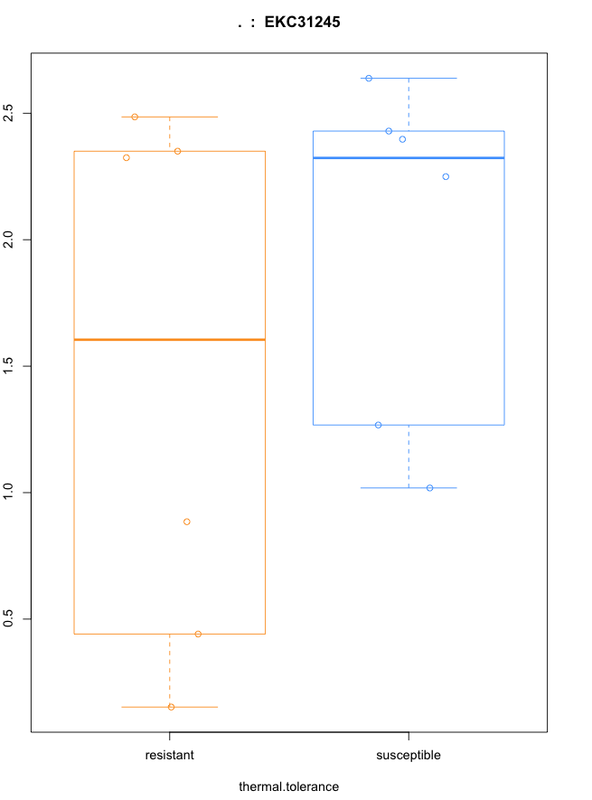 But rewriting the script changing NA by 0 helps to create the matrices but differential expression analyses had different results than using RSEM.isoforms.results. I can’t see the sense for this part. I mean why should be NA instead of 0? 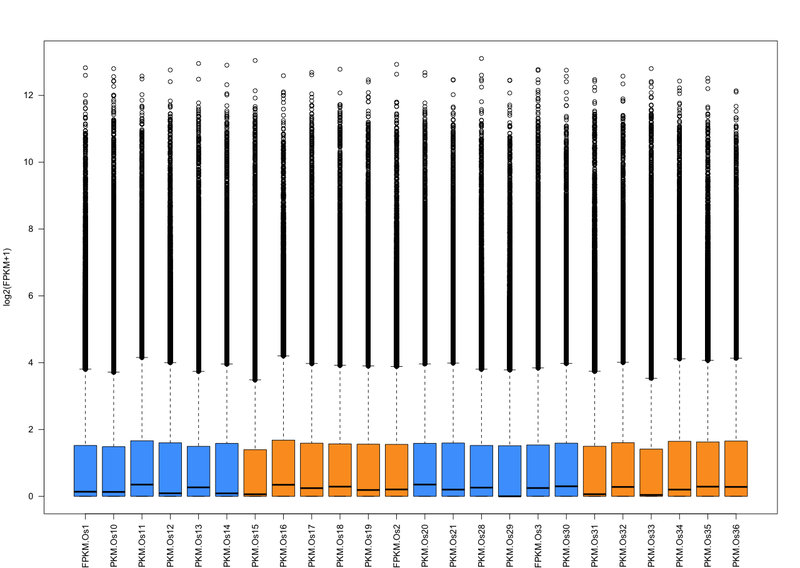 even if it needs numeric values and does this affects the differences using genes.results (where I found 10 differentially expressed genes) and isoforms.results (where I found 384 differentially expressed transcripts)? 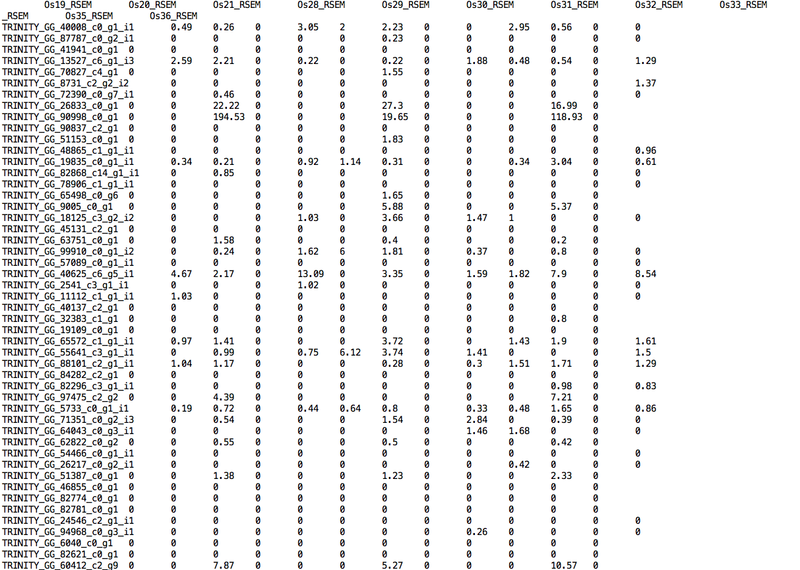 Now I am trying to have the annotation for those 10 genes and compare their ontology with the isoforms annotation.